I am an internationally performing professional clarinet-, bass clarinet-, and saxophonist, playing a wide range of styles. I perform classical, jazz, folk/world music, and pop in a variety of different ensembles and bands, and can teach in all these styles as well, including improvisation and klezmer/gypsy/Balkan music. As a bass clarinet specialist, I have been recognized by some of the great players of our time and regularly perform around the world. For those of an advanced level and professional-bound, I am a specialist in contemporary music and extended techniques and can teach things like slap tongues, multiphonics, quarter-tones, etc. I am also developing exciting new lessons and workshops in advanced rhythm. This new method of approaching rhythm will not only help to stabilize your own internal pulse, but will also show you techniques to understand and correctly perform complex rhythms with ease. In addition to playing, I have also been a recording engineer and electronic musician for nearly 20 years and can teach music technology and production. I run my own small studio and have recorded many major classical and jazz ensembles and artists in the Netherlands and Europe. I have been teaching private clarinet, bass clarinet, and saxophone lessons for 15 years in the United States, Netherlands, and UK to students from ages 7-75 and at all playing levels. I have also been teaching group lessons in UK and Dutch primary schools for 3 years. In addition to instrumental lessons, I can tutor in theory, music technology, music production, and advanced rhythm. My approach is to make music enjoyable and adapt to the student's needs. If you would like to go through the grading system, that's no problem. But if you would just like to learn to play so that you can jam with your friends, that's also fine. Lessons will be catered towards your goals and ambitions. 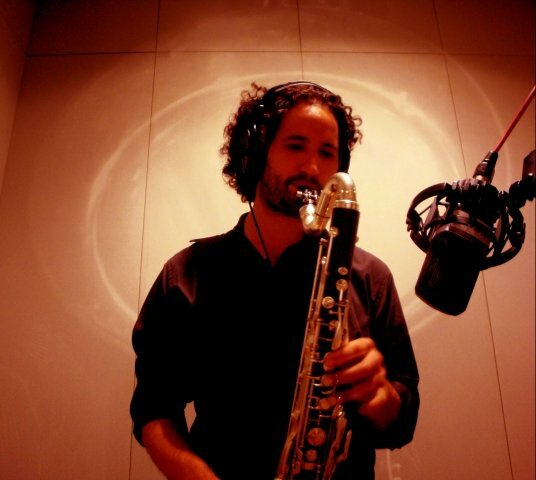 JasonFrom Peter (5/5): Jason is a very good Saxophone teacher. He teaches in a relaxed way which sets the right environment for learning and he has a keen eye for spotting exactly what I am doing wrong and then using examples and easy illustrations to help me to understand my mistakes and correct them with immediate improvements to my sound and feel. Like any good music teacher Jason makes clear what he would like me to practice and learn during the lesson but then he also responds to things that I have learned outside of his lesson structure and gives me advice and instruction on them also. In other words, he is there to help me to learn the things that I want to learn as well as the things he wants to teach me. This gives me the confidence to take charge of my learning and to use the lessons as a springboard to explore the saxophone further on my own, knowing that he is there to support me. The lessons are once a week but we are both flexible with both the date and time which is great for me as I am self-employed. I recommend Jason very highly to anyone who would like to learn the Saxophone with a friendly, relaxed but very highly qualified and knowledgeable teacher who is also an accomplished musician. JasonFrom Stuart (5/5): I was a complete novice with the tenor sax and bass clarinet, Jason is an excellent teacher and I am progressing fairly quick, I very much look forward to each lesson, he is a true artist. I am now starting to learn the alto flute with Jason.